Today’s CultureTrav post is by our founder, Nicolette Orlemans, who was invited to brunch by Bar 314. Let’s face it: brunch is a quintessential part of life for many New Yorkers, and with so many options available, it can feeling overwhelming. When I was invited to brunch at Bar 314, I was instantly drawn to its story, its menu, the artisanal cocktails, and how everything is infused with the chef’s Puglian heritage. By the co-owners of Babbalucci, Bar 314 brings the best of Italian comfort food (pizza and other delicious dishes) together with refreshing drinks. And, tutto bene, it was. From the moment we stepped into Bar 314, we felt enveloped by its friendly vibes. Away from the hustle and bustle, Bar 314 is situated in the city’s Morningside Heights (a close walk to Colombia University). 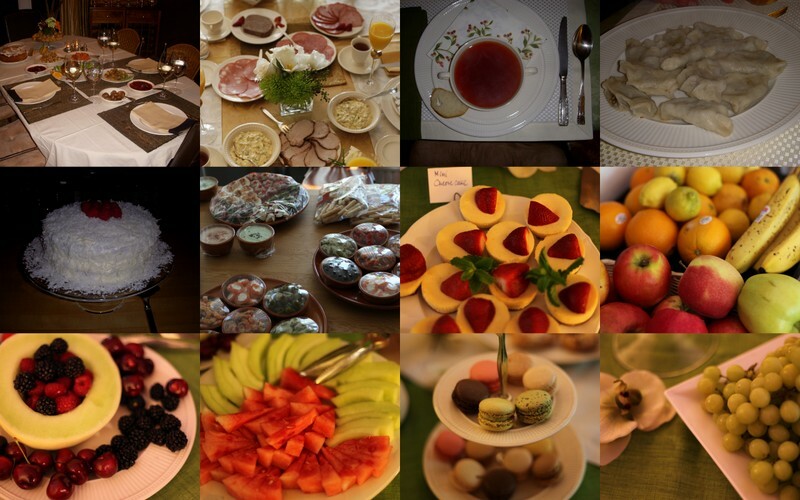 Our menu for brunch is a fun mix of Italian comfort foods. We ask that Bar 314’s waitress select a few of her favorite brunch dishes for us. Before we get our brunch plates, we order two of the house cocktails: a Garibaldino and an Unusual Negroni. Rather than being “simple” house cocktails, these are known as “aperitivos” in Italian. Aperitivo is described as something to “whet your appetite,” hence the pre-brunch drink. I would liken The Garibaldino to a fun, refreshing twist on a mimosa. It has orange juice, blood orange soda and vermouth. The blood orange offsets the “typical” sweetness of orange juice, and adds a fun flavor. The Unusual Negroni consists of JunmaiGinjo Sake, Barolo Chinato, Sweet Vermouth, Elisir, Juniper, and Orange. Both are delicious drinks in their own right. 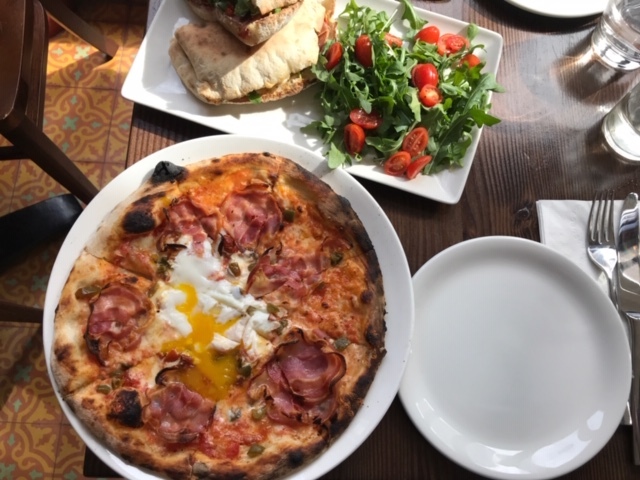 Next, we order the A’Huevos Pizza with tomato sauce, guanciale (an Italian cured meat), caciocavallo (cheese), baked egg, and cherry peppers. A deliciously creamy (also thanks to the egg) sauce mixed in with cheese and guanciale, this pizza has a nice kick to it thanks to the cherry peppers. A’Huevos Pizza at Bar 314. Our next and final dish is the Bruno pucce. A pucce is a sandwich made from pizza dough. The Bruno consists of prosciutto, sun-dried tomatoes, arugula, mayo, stracciatella. Deliciousness! The Bruno Pucce at Bar 314. If you’re looking for delicious Italian brunch comfort foods, refreshing drinks, and a cozy vibe, get a table at Bar 314. Fun experience, all around!